Sometimes when we send emails to our friends or clients and did not get any response from them we keep wondering if they ever got to read the message we sent to them or if the message was actually delivered to their inbox. I don’t know about you but personally I would be pleased to know the recipient actually got my message, read it and maybe for some reasons decided not to reply, that way I will know it’s not a fault from my end that caused it. There is an email tracking tool called SPYPIG but I don’t know if that tool is still available now. SpyPig is an email tracking system that sends you a notification by email when a recipient opens and read your message. 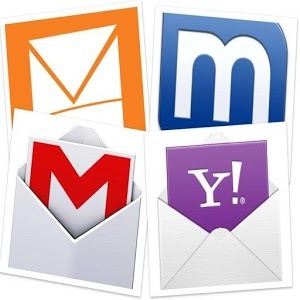 This tool works with all the major email providers like Gmail, Yahoo, HotMail, Outlook, AOL and many more. I don’t think that tool is available for use anymore, am not sure but don’t worry I have a better alternative for you. Below are some alternatives to SpyPig that you can use to get notification when a recipient read your message. GetNotify.com is a free tool for email tracking and marketing service that tracks your sent emails and tells you when your sent mail was open and read. This means that you will get confirmation from the tools when the recipient reads your email. Lastly your recipient don’t get to know that you sent them a tracked email and you will also be allowed to use your existing email address and existing email service provider. DidTheyReadIt.com is a similar service to GetNotify that you can use to send invisibly tracked emails without alerting the recipient. This service tells you when exactly your message or email was opened, how long it remained opened and also the geographical location the email was viewed from by the recipient. There are many more similar service to the above service but I am recommending this two to you because they are the ones I have used and enjoyed using their service. You should try any of them and start tracking your sent emails. Over to you now, have you used any of the above service or do you have any better service you would like to recommend to us? You can use the comment box below and share with us. Don’t also forget to share this with your social media friends using the social media buttons below.